However, there appears to be a significant gap between this research finding and knowledge management practice. I recently wrote about how over this past semester I’ve developed and taught a new subject on knowledge management (KM) and innovation for postgraduate students here at Shanxi University. To me, the importance of the link between KM and innovation was obvious. China plans to become an innovation leader, and as the Global Innovation Index Framework shows (Figure 1), knowledge absorption, creation, impact, and diffusion are seen as pivotal to innovation. And I’m not the only one to see this obvious link. For example, two key knowledge management conferences in China this year – iKM and IKMAP – both focus on KM and innovation. Figure 1. 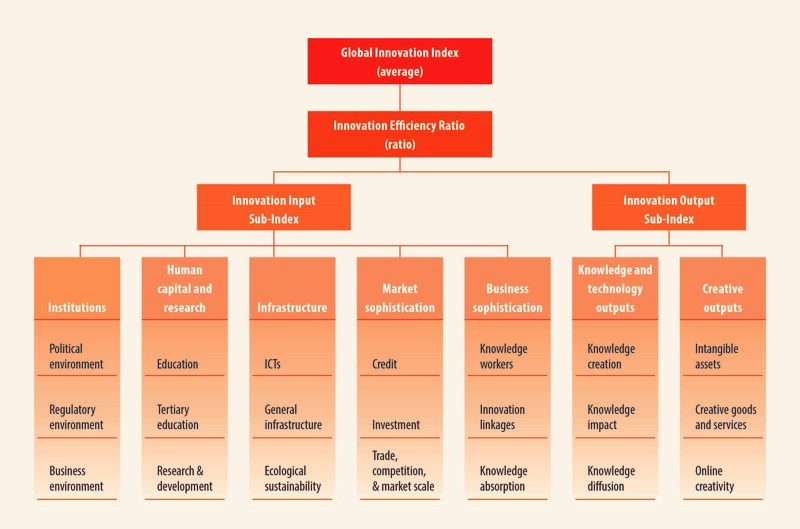 Global Innovation Index Framework (source: Global Innovation Index). 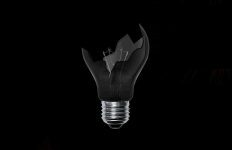 Innovation is important globally, but outside China, few people appear to be making the KM and innovation link. 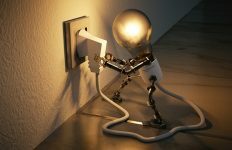 The findings of recent paper1 from Kristijan Breznik, a professor at the International School for Social and Business Studies in Slovenia, suggest that this disconnect might represent a significant gap between KM research and practice. Breznik’s paper had two purposes. 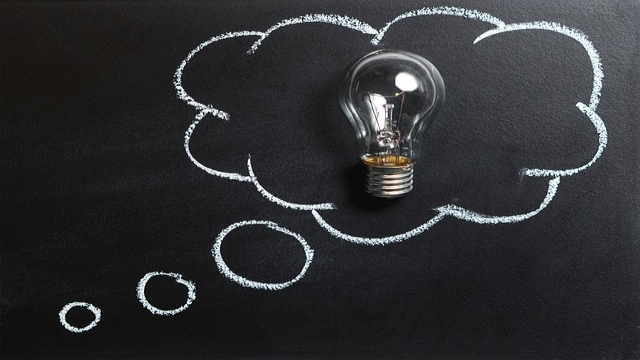 First, to investigate the development of knowledge management as a scientific discipline, and second, to analyse the linkage between knowledge management and innovation. A search of the Web of Science platform in June 2016 using the keyword “knowledge management” identified 7553 articles. For each article, further keywords were collected, with the final list of keywords containing 11962 items. A network analysis was then conducted. Network analysis is in general concerned with actors and the relations between them, however in this case the actors in the network are the keywords. The social network analysis tool Pajek and bibliometric network analysis tool CitNetExplorer were used in the network analysis. VOSviewer was then used to create co-occurrence network maps of keywords. The analysis shows that the volume of knowledge management research indexed in Web of Science has grown over time. The first article was published in 1974, and three subsequent phases of knowledge management research can be identified (Figure 2). In the first phase, from 1974 to 1995, a low number of articles containing the keyword “knowledge management” were published each year. In the second phase, from 1995 to 2012, the number of articles rapidly increased. The peak was reached in 2012, when over 650 papers were published. After 2012, there is a third phase in which the number of articles gradually reduced to the 454 articles in 2015. Figure 2. Number of articles on the topic of knowledge management published each year (source: Breznik 2018). The network of keywords consists of 11962 actors, i.e. keywords, and 56194 links among them (Figure 3). In the center of the network is the keyword “knowledge management”. Nearby and also in the core of the network (colored red), is the keyword “innovation”. The other keywords in the core are “information systems”, “creativity”, and “intellectual capital”. Figure 3. 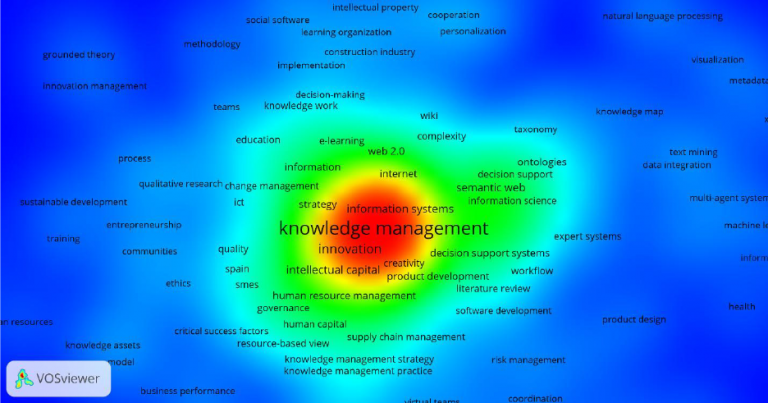 Network of keywords on the topic of knowledge management presented by VOSviewer (source: Breznik 2018). From these results, Breznik concludes that his research strongly supports previous research confirming the strong linkage between knowledge management and innovation. He also advises that the network analysis procedures used in the paper offer an excellent tool for analyzing such an important topic. 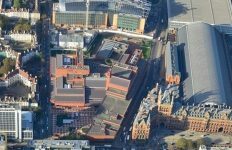 Article source: Knowledge Management – from its Inception to the Innovation Linkage is licensed under CC BY-NC-ND 4.0. Header image source: Image 2123970 by TeroVesalainen on Pixabay is in the Public Domain. do not see the words “content curation” in the keywords?